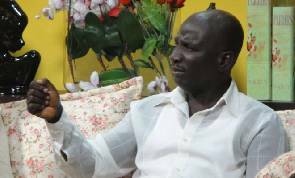 Controversial filmmaker, Socrates Safo has indicated that if he were the manager of Shatta Wale, he would beat the artiste every day. According to the “Hot Fork” producer, the actions of Shatta Wale would have made him carry out that act. “I’m not an artiste manager. I can’t be an artiste manager because if I were managing Shatta Wale, I would beat him every day. There are so many things he would do that I wouldn’t subscribe to. But sometimes, after he does something and you show dislike, he explains why he did so and welcomes advice. I want him to rather manage me,” he told KMJ on Daybreak Hitz on Wednesday. Asked what some of the things which would make him beat Shatta Wale were, Socrates replied that the artiste focuses on the arts than making money. “He is so passionate about satisfying his fans and doing the music than concentrating on making the money. When he sees that his fans are happy, then he is happy instead of seeking opportunities to make money. My only problem with him is, he is not making that money he deserves,” he said. Socrates, sometime ago said Shatta Wale is not a smart artiste. According to him, Shatta is being “stupid” for seemingly concentrating on making hit songs instead of claiming royalties from his creative works from the Ghana Music Right Owners (GHAMRO).